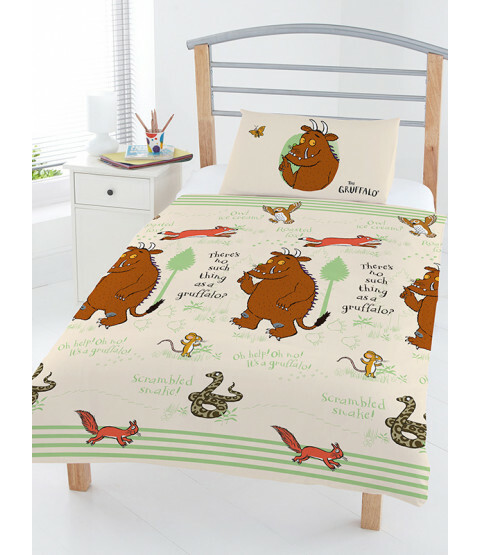 This official The Gruffalo junior duvet cover set will please any fans of the popular children's story. 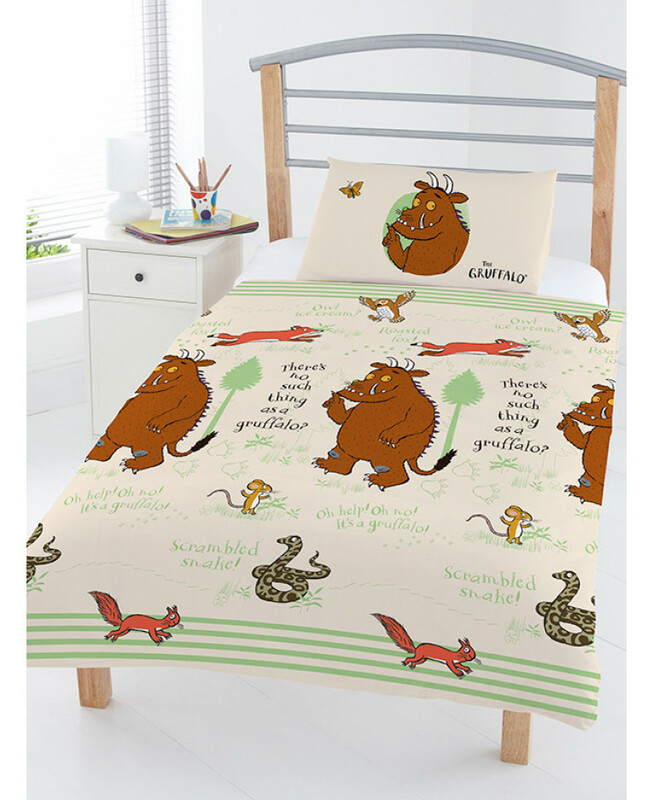 The reversible duvet cover features the Gruffalo in the centre of a woodland scene backdrop, surrounded by phrases from the book and the Mouse, Owl, Fox, Snake and Squirrel. A green and cream stripe pattern runs across the top and bottom and is echoed on the reverse too. 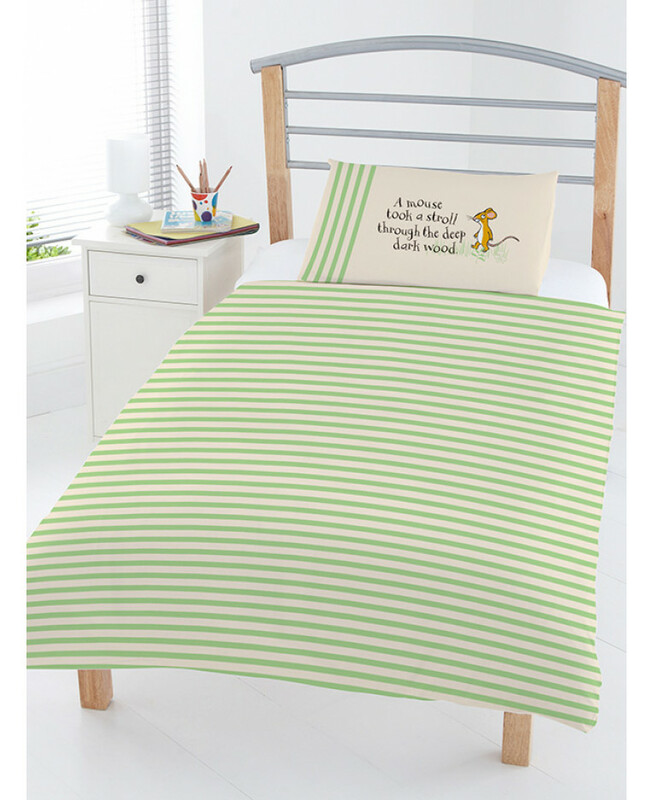 Made from 100% cotton, this bedding set fits most toddler beds and can be machine washed and tumble dried on a low setting.